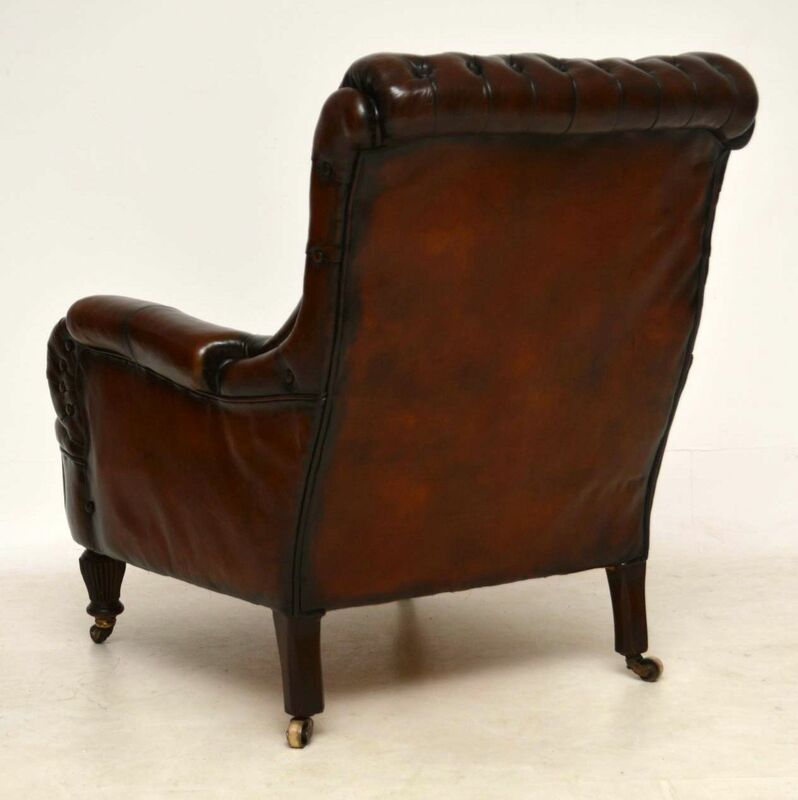 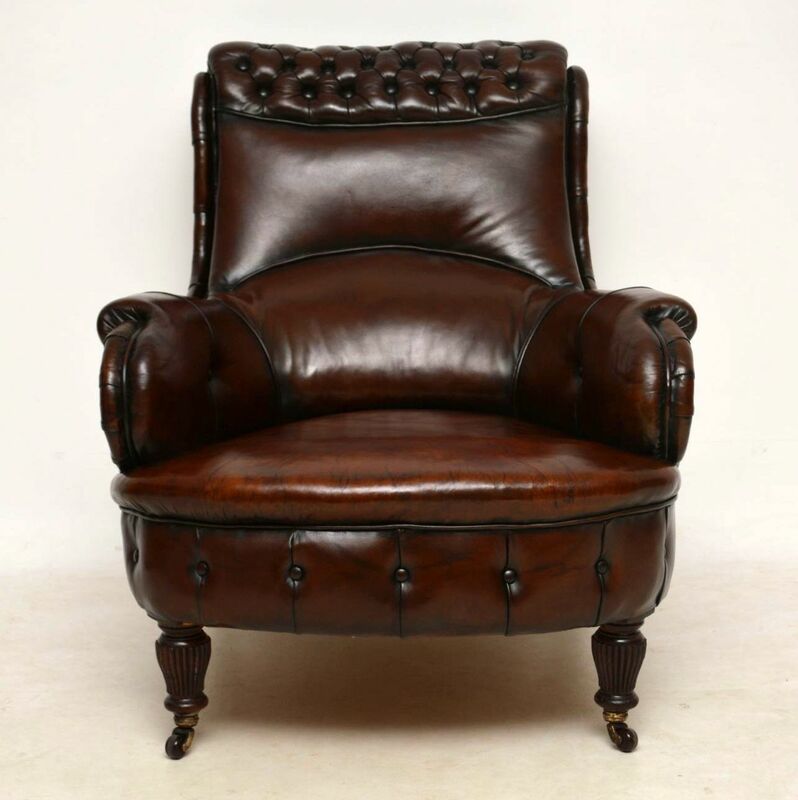 Antique Victorian Leather Club Armchair | Interior Boutiques – Antiques for sale and mid century modern furniture, french furniture, antique lighting, retro furniture and danish furniture. 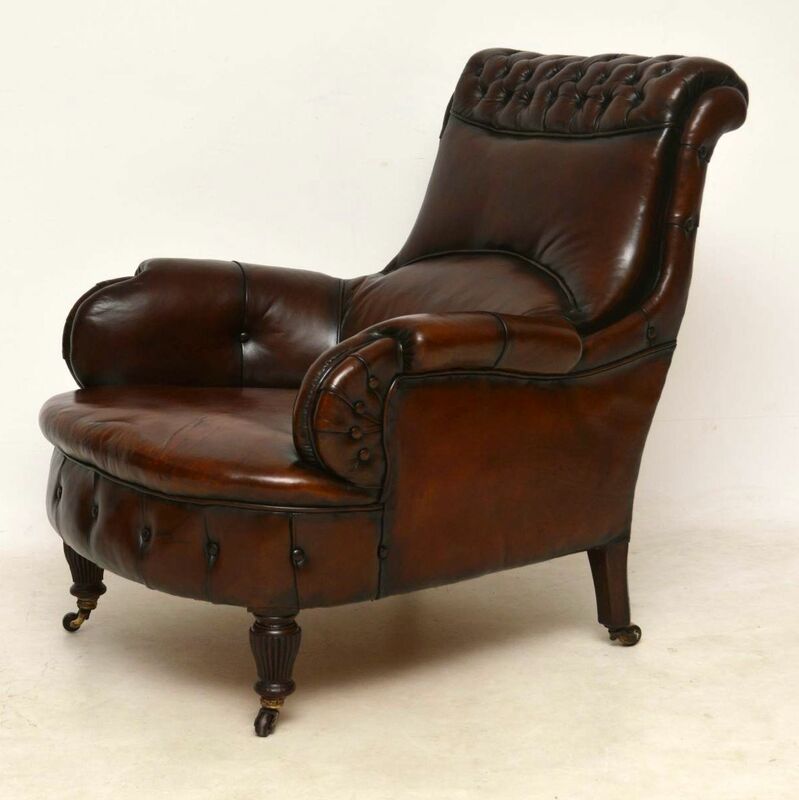 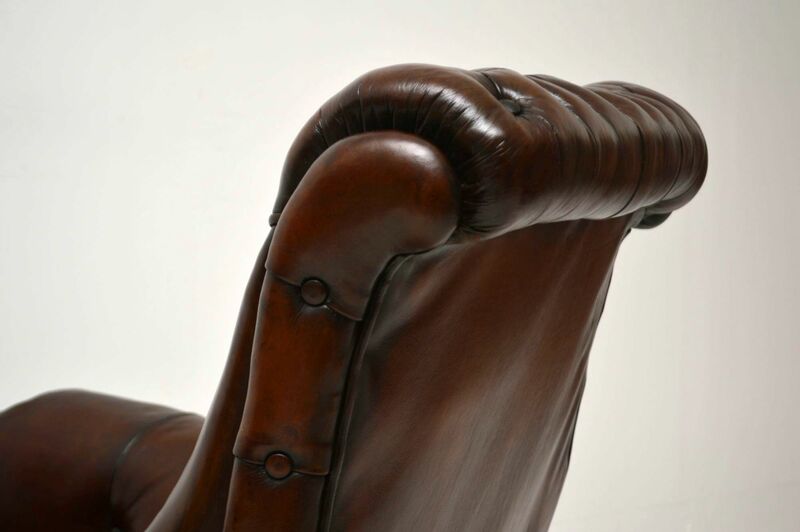 This has to be the most spectacular antique leather armchair I’ve ever had. 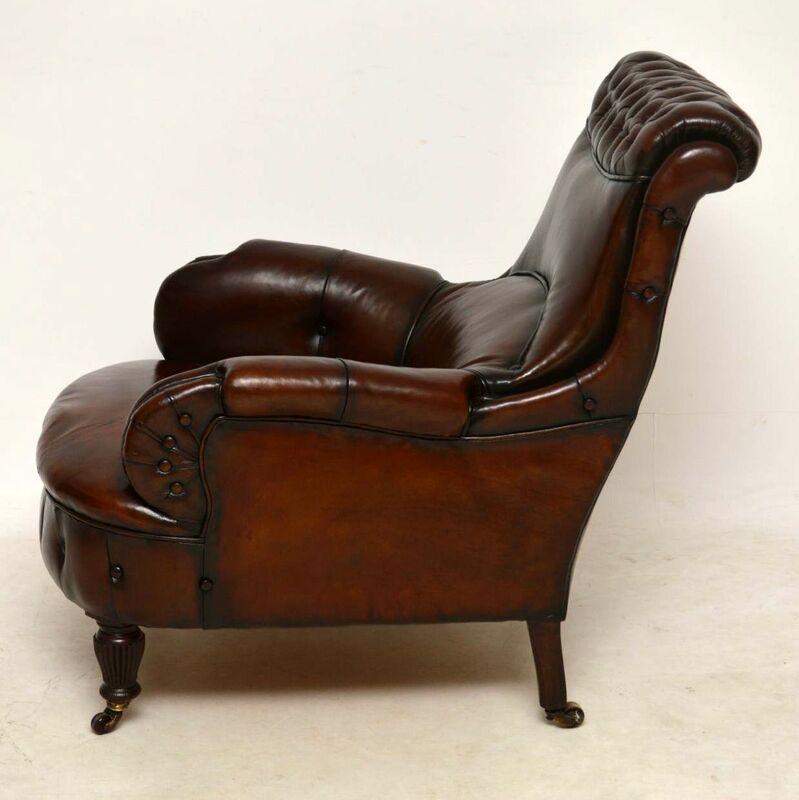 It’s Victorian & I think the leather & all the other features are original. 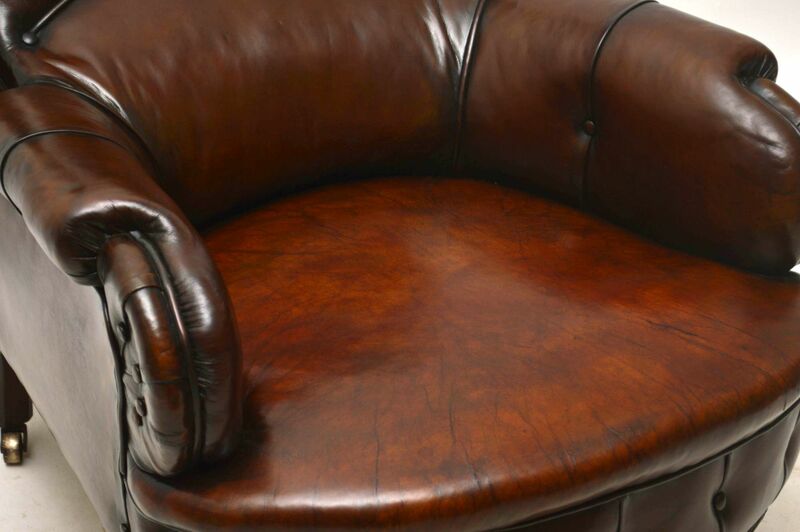 This armchair is also very comfortable due to the excellent back support at the base of the back. 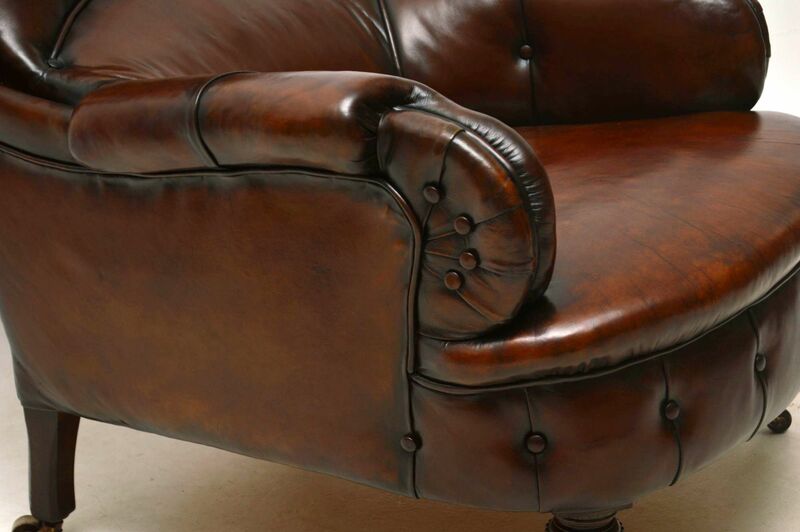 It has a deep buttoned scroll over top with more buttoning running down the side & on the sides of the arm fronts. 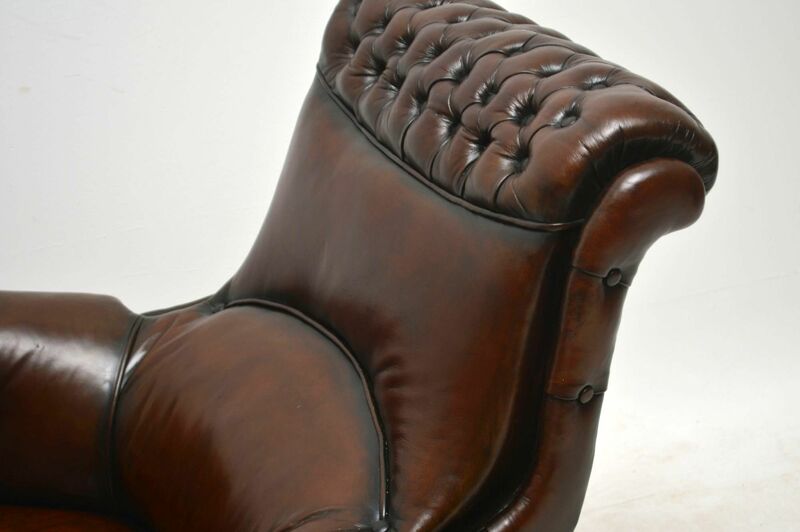 In fact there are so many interesting details on the chair, that I couldn’t describe them all, so please enlarge all the images. 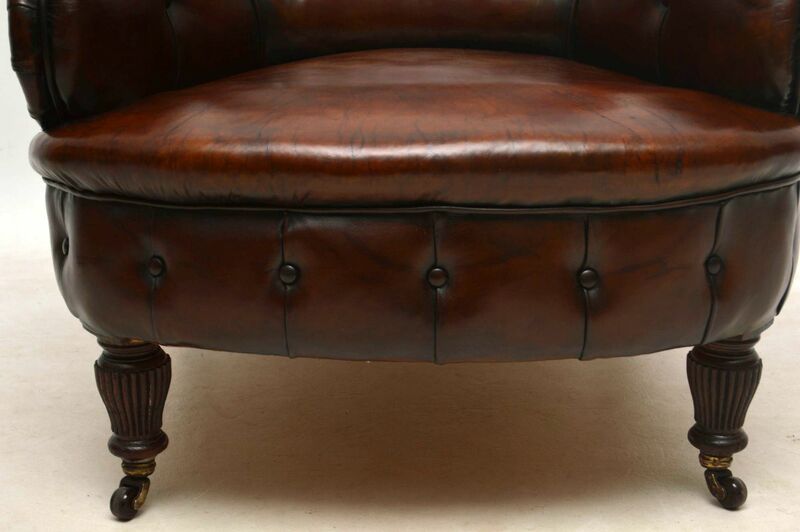 It has large proportions with a fully sprung seat & sits on turned fluted legs with original porcelain casters. 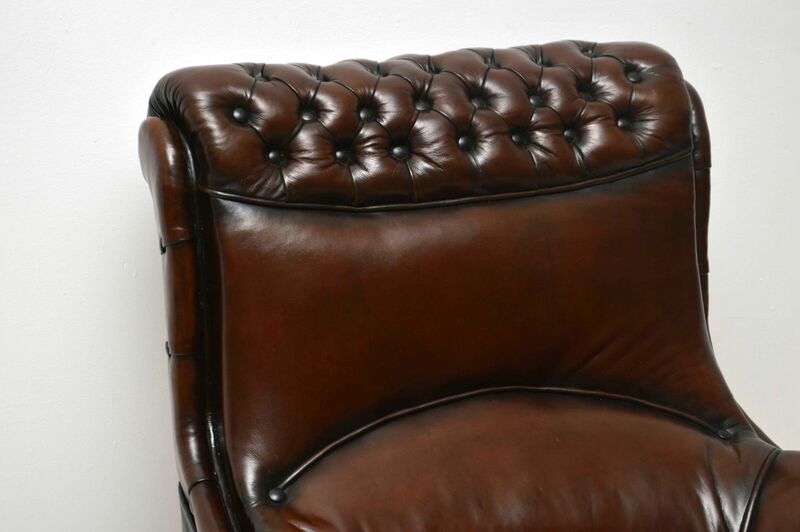 The leather is in excellent condition & has loads of character. 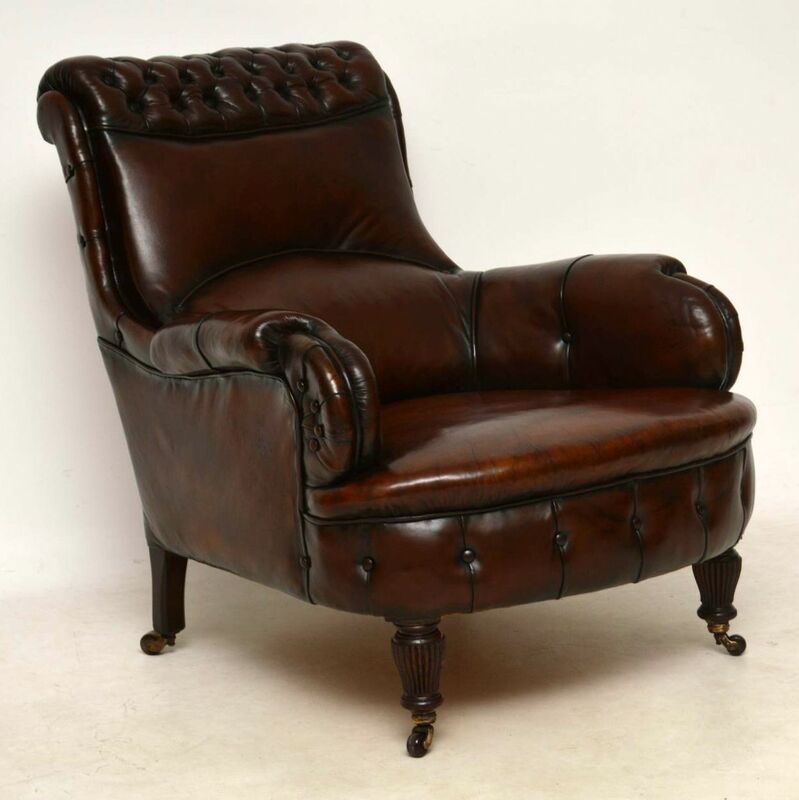 It has just been professionally revived & polished. 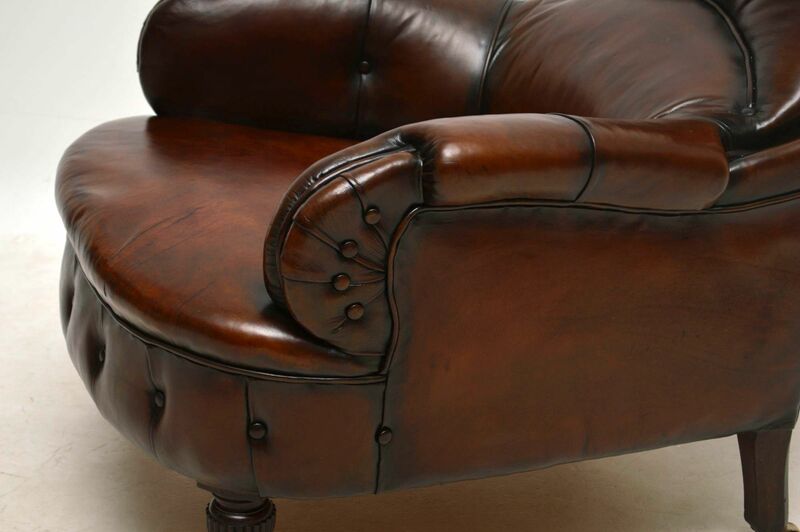 The colour is wonderful & naturally aged, with all the right shading. This definitely won’t hang around for long, in fact I’m tempted to just take it home.